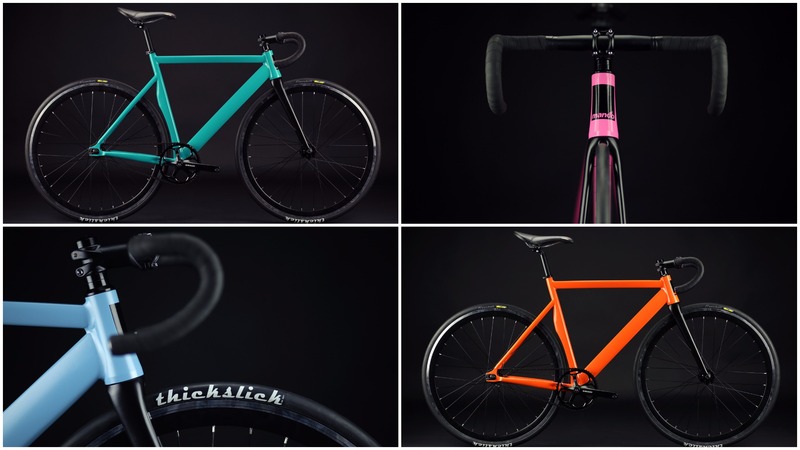 As far as our choice on bikes goes, we were once again taken with many of the specialist bike builders that have sprung up all over the place in recent years. It is possibly just the make-up of the show, but it is noticeable that the amount of floor space commanded by the mainstream manufacturers and distributors seems to have shrunk and been displaced by this growth among niche suppliers. 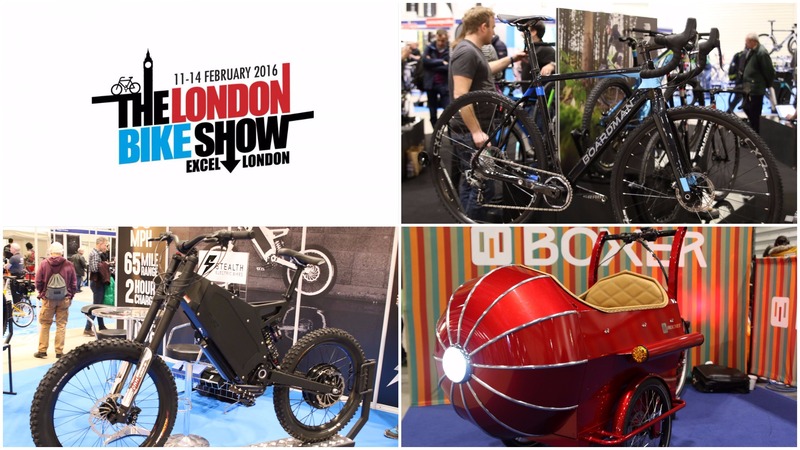 This year all 4 of our favourite bikes from the show come from these smaller manufacturers. 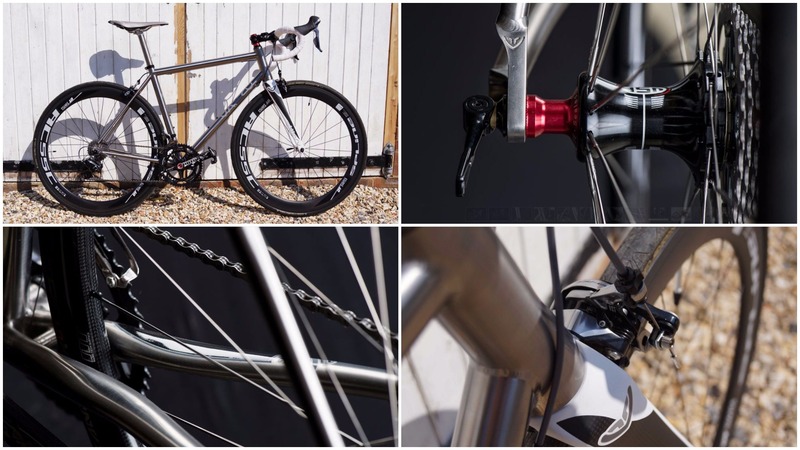 Little more than a very talented one man band, VAARU bikes are a titanium specialist who will build you a seriously well specified and beautiful machine, especially if you choose a custom paint job. As with most bikes the frames are shipped from Taiwan, you choose gruppo and accessories but if you do select the custom touches you will end up with a unique set of wheels that will stand out from the peleton. Dwelling in rural Gloucestershire right next to the Costwold Water Park hardly seems the most likely birth place for our favourite fixie of the show, but that is the home to Mango Bikes who have a range that will suit you as well in Shoreditch as Cirencester. 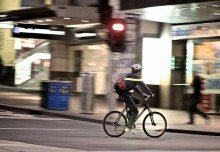 Having ridden the Point Blank I was quite taken with it, track style fixed gear with no freewheel, with the simple assurance of a single brake to ensure you don’t land in too much trouble. 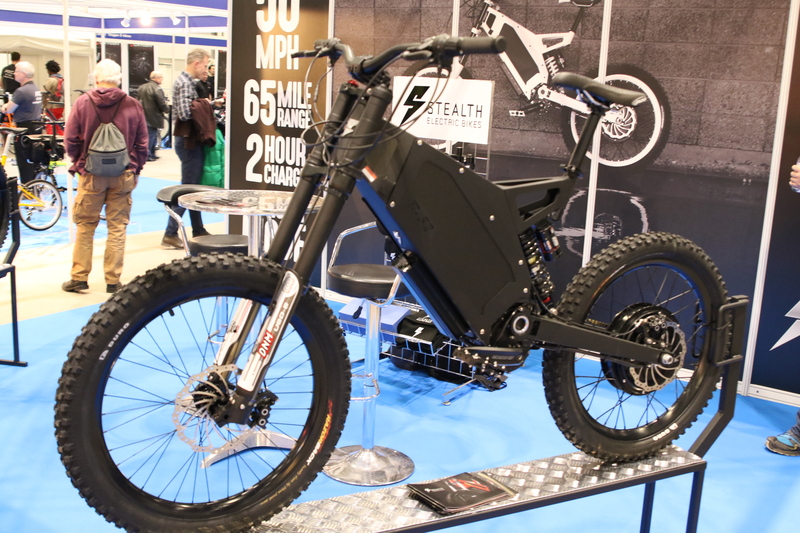 Complete with on-road and off-road modes, the Stealth is 50 kilos of battery powered fun that could really thrill you if you can find the right place to play. The massively powerful electric drive train is capable of speeds in excess of 50mph, although we only succeeded in getting 33 out of it on the indoor track; that was exciting enough. The rise of the cargo bike continues unabated and there were a number of fun models on display at the show. 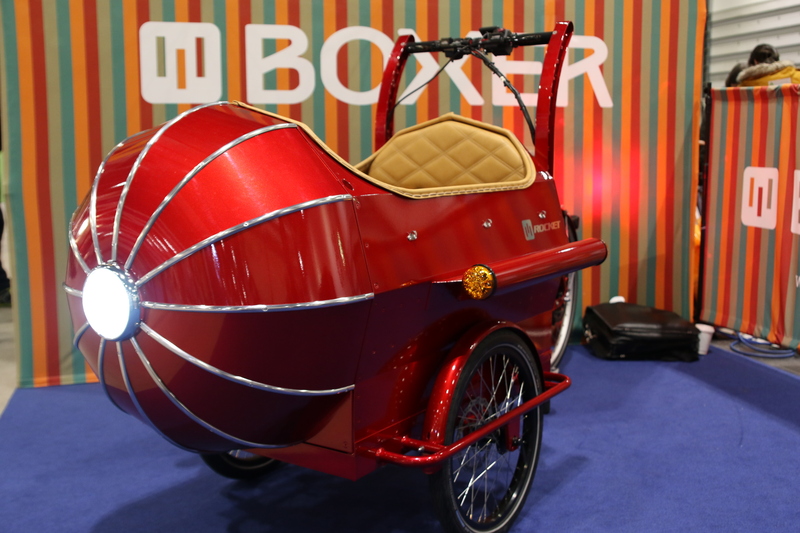 Hailing from Poole in Dorset, Boxer are producing some seriously eye-catching trikes, none more so than the Rocket! Sporting stylish looks, a 250w hub motor for pedal assist and the ability to sit four little people in the bench seats, this machine will certainly turn heads as you ride on by. Over recent years we have probably picked up more emerging safety features at the show than seemed to be on offer this year, that said there was one item that really stood out from the rest: Overade’s Folding Helmet. Choose a folding helmet and there always appears to be a compromise somewhere along the line in either size, durability or style. 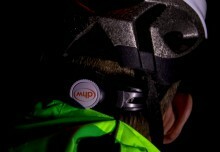 However, this unit seems to manage that balance incredibly well with a very clever folding and locking mechanism that makes it compact when folded, a solid ABS shell that offers the kind of durability you need in a commuter helmet, but the style is not utterly compromised in the process. We were a little unsure about the peaks and protective covers that you can add in, but the base unit itself looks pretty sharp. 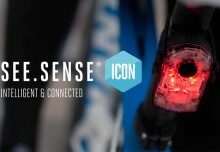 Whilst catching up with the latest light models from our old friends at See Sense, we were surprised to see a couple of bikes on the stand peddling themselves. 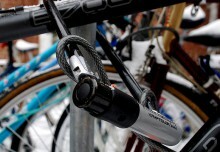 In the age of mechanical doping it turns out that they were being driven by a Typhoon E-Assist with bottle cage mounted batteries and bottom bracket motor it offers a full 250 watts of road legal power, but is not likely to be rule compliant in any of the sportives you were planning this year!! 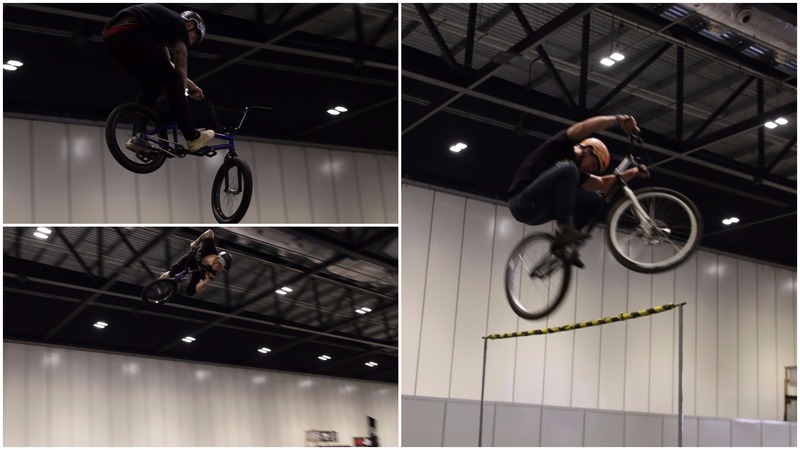 Any regular visitor to bike shows around the country will have come across the ever popular ‘Action Sports Tour’ show with their repertoire of tricks on foot, micro-scooter and a variety of bike formats. This year however, through a partnership with Jeep, MBWales and Kodak there was a new show in town: Air to the Throne. When you watch these guys looking so comfortable as they land the most ridiculous stunts, it’s easy to get a little complacent about just how hard it can be to do what they are doing. However, when you see them coming off a 7 metre high roll in to carry huge air over massive gaps it presses the reset button on your expectations and causes you to just watch in wonder at these feats of human excellence and courage.